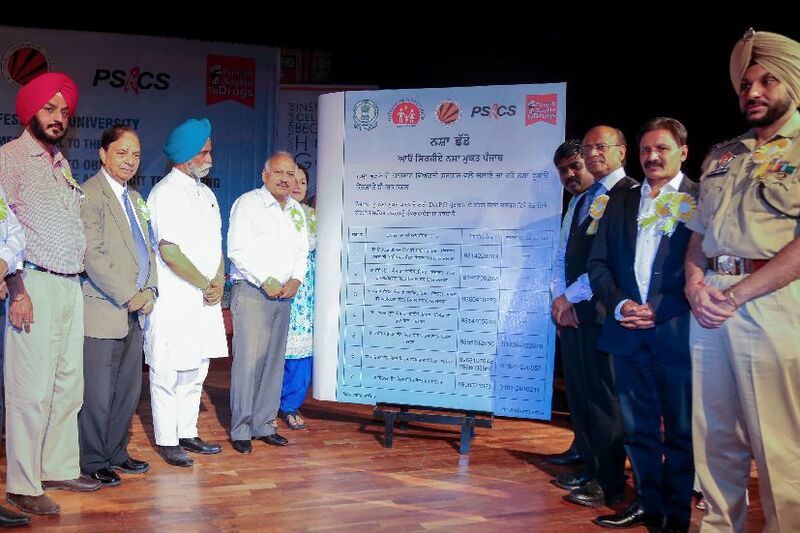 Hon’ble Health and Family Welfare Minister of Punjab Brahm Mohindra visited Lovely Professional University on 26th June 2018, where he chaired the state level event on ‘International Day against Drug Abuse and Illicit Trafficking’. 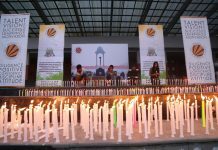 The event held at densely packed Shanti Devi Mittal Auditorium of the university was attended by all sections of the society. Mr Brahm Mohindra invoked all to shoulder the responsibility of eradicating the massive drug nuisance and be a part in the related government initiatives. Conveying a deep message, Hon’ble Minister suggested: “Don’t hate drug addicts, help them recover. They should be educated about ills of drug addiction and processes of rehabilitation should be started for them.” He also repeated commitment of the government towards eradicating this severe problem. He also announced government’s aim to make the state industrialized with the generation of jobs for the youth of the state. On behalf of the government, Mr Brahm Mohindra specially thanked LPU management for hosting the grand youth-oriented event. 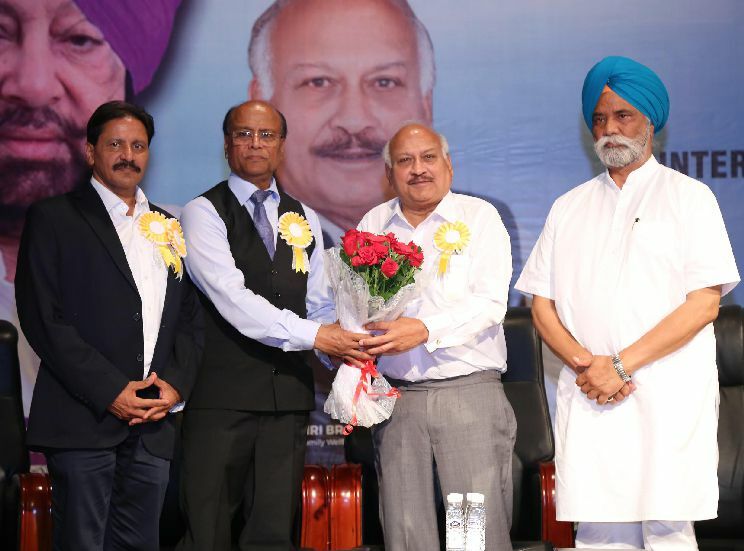 Prior to this, Chairman Lovely Group Mr Ramesh Mittal had welcomed the Minister by offering a floral bouquet. The main dais was also shared by Member Parliament Santokh Chaudhary, Senior Politician Joginder Singh Maan, Vice Chairman Mr Naresh Mittal, Civil Surgeon (Jalandhar) Dr Jaspreet Kaur, LPU Vice-Chancellor Prof Dr Ramesh Kanwar, Director General Er HR Singla, Additional Secretary Health B Srinivasan, DC Varinder Kumar Sharma and SSP Gurpreet Singh Bhullar. Jalandhar Rural MP Santokh Chaudhary informed all that the state government’s priority is health and education, and all should come forward to join hands. On this occasion, heart touching one-act play on drug abuse was also enacted by the Saanjh Kala Kendra of Kapurthala District, which was appreciated by the audience. Delivering ‘Concept Address on Drug de-addiction Scenario in Punjab’, State Trainer Dr Sandeep Bhola informed all that drug addiction is a complex illness of the brain and addicts should be treated psychologically. He also informed that massive works are being in the state for which health department of the state has been awarded “Skoch Award” by the central government. Speaking on the role of Police in the prevention of illicit drug trafficking, ACP Deepika Singh informed all about the magnitude of the problem and what community as a whole ought to do. She wanted all to adopt government’s ‘DAPO’ (Drug Abuse Prevention Officer) programme. 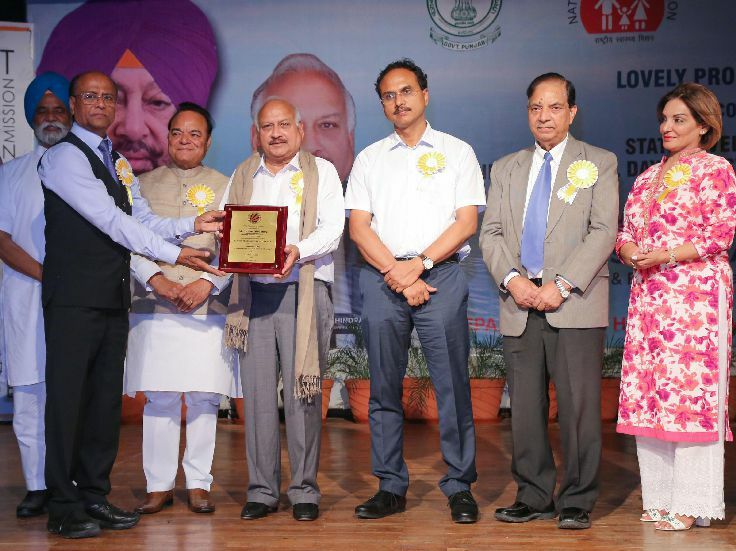 She informed, “drug abuse is a preventable behaviour and drug addiction is a treatable disease.” Dr Sanjeev Lochan told all about doings of Model de-addiction center at Civil Hospital Jalandhar. On this occasion, an awareness poster was also released by the elite guests.